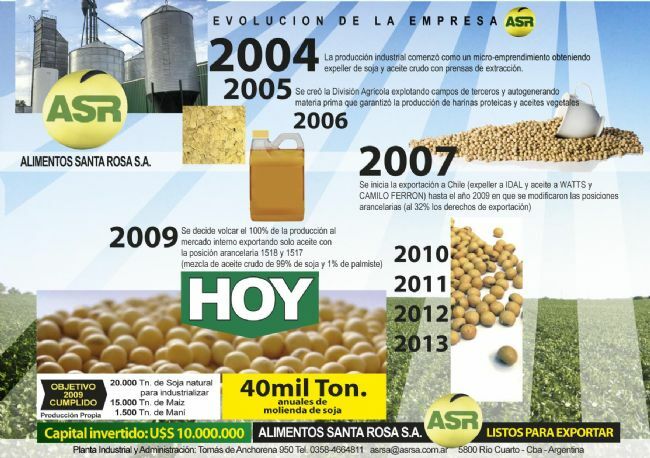 ASR is devoted to the manufacture of vegetable oils. It exports byproducts such as crude oild and protein flour for animal consumption to bordering countries. This family business started operating in 2004. Corporate Name: ALIMENTOS SANTA ROSA S.A.